Any subject, any style, including grading, sound, and input and output in any format for any device. 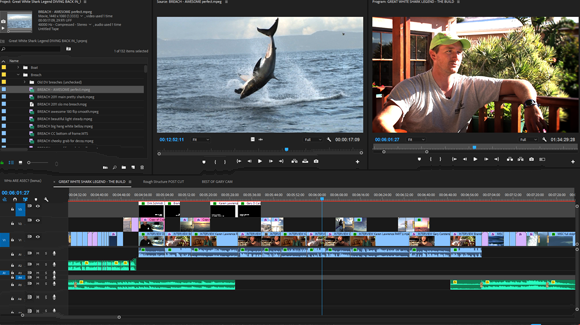 I offer a full range of video editing skills and services, wherever in your project you are currently situated. Happy to consult early at the inception of a project to advise of the scale or cost of the editing tasks, or equally happy to take all your completed footage, spec or script and assemble your work for you. Feature films, short films, music videos, advertisements and promos, trailers, web-content, home videos. I price per job, and not by an hourly rate, based on the level of editing time required and complexity. My particular skills are in trailers, montages and promotional material where I work to quick turnaround times and will always keep a project open until we are both satisfied that the edit is final and complete. I have also often been requested to return to, and update, previous projects and so keep all material in storage indefinitely. Ultimately, no matter the project, big or small, I work to assemble your material to get to the heart of the piece and make it shine to your viewers. @MarksnSpence It’s sad you’ve replaced your till staff at Sheffield Station with robots. Those friendly souls have brightened countless peoples days, mine too. Perhaps the relentless automation of our world is in part, why some people feel increasingly isolated & alone? Thoughts?